The Fair Work Commission finally handed down its decision on penalty rates as part of the four yearly review into modern awards. 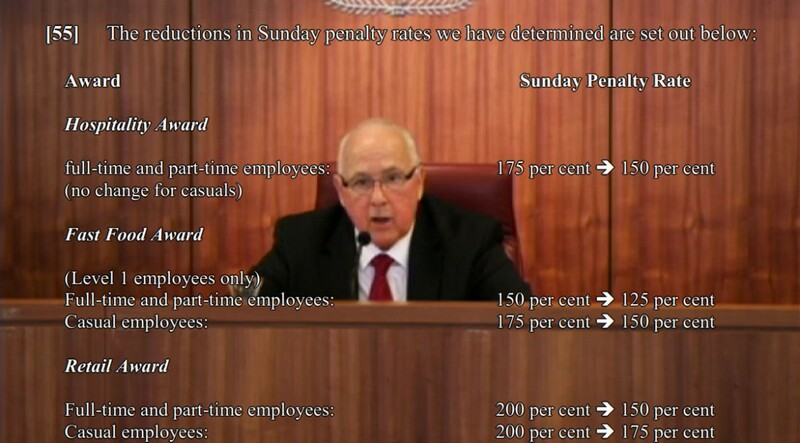 There’s been a reduction in some penalty rates on Sundays and all penalty rates on public holidays, with no change to any Saturday rates. All reductions (those in bold) are a 25 percentage point drop. Sunday penalty rates: TBC, but partial reduction from 1 July 2017.